Cascade Cart Solutions is a symbol of excellence in residential carts. Our carts have performed in the industry since 1989. Cascade’s carts are designed for exceptional performance, durability and functionality, and guaranteed to the highest standards, meeting or exceeding all ANSI requirements for safety, compatibility, and performance. 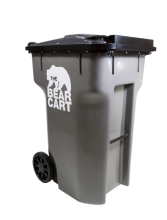 Available in our 96 Gallon Universal design, The Bear Cart™ is specifically built to keep trash in and animals out. With its durability, ease of use, and RFID compatibility The Bear Cart is ready for the harshest environments. Watch Cascade's Bear Cart in action! Select a blog entry Waste & Recycling Carts A/J Equipment introduces The Bear Cart Wastequip Compactors February 2014 Customer of the Month - Town of Natick A/J Equipment is paving the way with automated trash trucks. A/J Equipment is PROUD to support and offer "THE PINK CART"
From your trash and recycling haulers to your neighbors and everyone you connect with on your social networks, we want you to tell everyone about Pink Carts and help them turn their streets Pink on trash day. By supporting this, we hope you feel empowered and equipped to advocate this program. Your efforts will help convince your friends, family and your trash and recycling haulers to line the curbs of your neighborhoods with Pink Carts and make an even bigger impact in our efforts to Kick Breast Cancer to the Curb. Cascade Cart Solutions offers The Pink Cart in three sizes (35-gallon, 64-gallon, and 96-gallon).&nbsp; Various sizes are offered by A/J Equipment Repair and retail stores across the country and all three sizes are available for purchase. If you have any questions about how to get your Pink Cart, email us at andrew@ajequipmentrepair.com or give us a call at 1-800-354-5623. 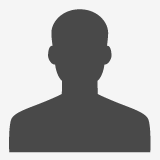 Copyright © 2019 A/J Equipment Repair Inc.. All Rights Reserved.